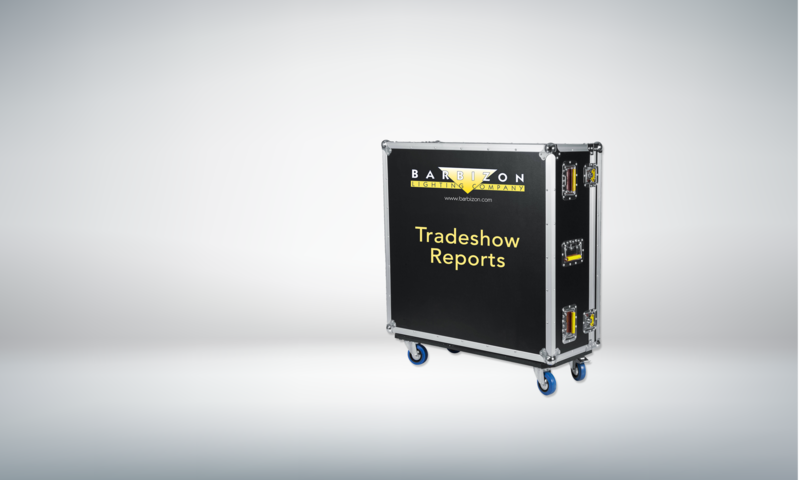 Blizzard Lighting brought it like a blast of cold from the north this year partnering with fellow Wisconsin company ModTruss to create a booth they actually drove in on a trailer made of the same truss. New at LDI was the RokBox™ EXA LED par with a cast-aluminum housing that’s approximately 9″ square and comes with 18 15W Tianxin RGBAW+ ultraviolet 6-in-1 LEDs. With an output up to 28,000 Lux at 1m, drawing just under 150 watts of power, and it’s capable of achieving any mixed color, natural looking white color temperatures, and 395-400nm ultraviolet light output. It features a flicker-free constant-current driver and five separate user-selectable 32-bit dimming curves. 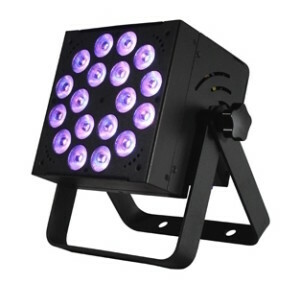 The unit can be controlled via DMX using 3, 6, 8, 10, or 11 channels of DMX, and it comes with dual-hanging brackets with locking knobs for mounting, plus industry-standard powerCON compatible power and three-pin DMX input/output connections. ModTruss is a universal building component whose limits are as boundless as your imagination. 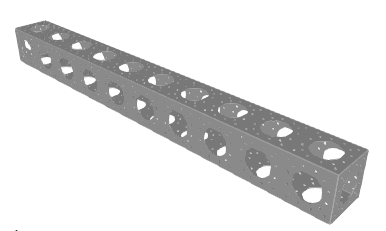 With its lightweight aluminum construction and its repetitious hole pattern, ModTruss is ideal for use in most any industry. 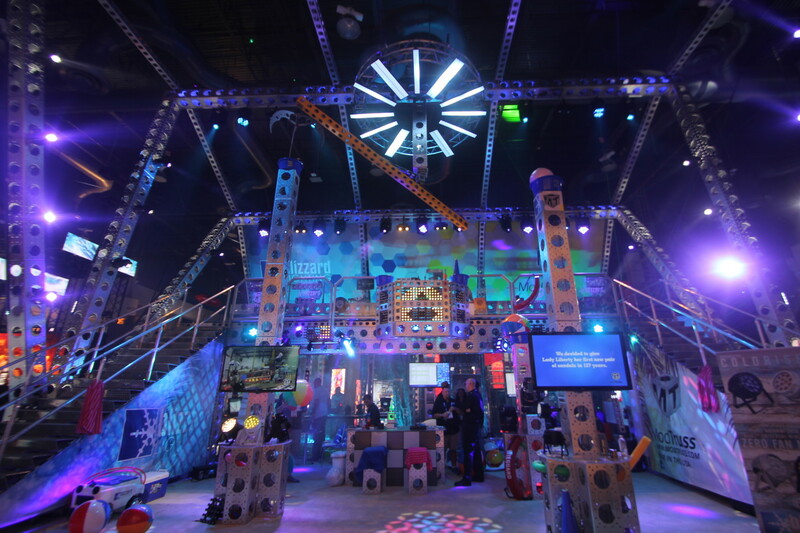 ModTruss product line lends itself to thousands of accessories to create endless configurations. This rental- based product makes ideas that once took extensive custom fabrication and now allows construction to be as easy of using a simple child’s toy.